Argentine-born professor of mathematics Maria Alejandra Rodríguez Hertz has done so much in the field that it is surprising her accomplishments are not being shouted from the rooftops. Professor Hertz is a full professor of mathematics at Universidad de la Republica, also known as the University of the Republic, in Uruguay. It is the oldest, largest and most important university in Uruguay. 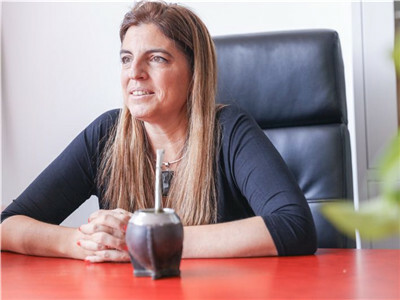 She graduated from the National University of Rosario in Argentina, before moving to Uruguay to complete her Ph.D. She completed her Ph.D. in 1999 at the University of the Republic and continued to work there, moving through the ranks from assistant professor to full professor. In 2016, Prof. Hertz decided to take a chance and moved to Shenzhen to take up a tenured position at the Southern University of Science and Technology (SUSTech). Prof. Hertz’ major research focus is dynamical systems, and her specific area is partially hyperbolic dynamics. She explains dynamical systems as trying to model physical phenomena like climate. The main focus is on chaotic systems that are difficult to predict and trying to quantify what is going on. She never had any noted math idols and professed to have followed the traditional set of scientific idols. However, Prof. Hertz did say that at the age of 15, it was clear to her that she wanted to become a mathematician, even though it was never thought of as a job that makes a good living. When people think about mathematicians, they have traditionally thought of them as men. Prof. Hertz demurred, saying that she felt it created more of a challenge for her. In 2016, she became the vice president for the Organization for Women in Science in the Developing World (OWSD) for Latin America and the Caribbean, an organization that works closely with UNESCO. Prof. Hertz felt that this was an enormous honor, and the opportunity to travel and meet female scientists from all over the world is something that is important to her. She considers this honor as another challenge, but an interesting one. Hertz views her position as a network builder, connecting women in science across Latin America and the Caribbean. One of the challenges of Latin America is that it is a very heterogeneous area, with a mix of scientifically developed countries and less developed countries. It’s not just scientific development that is a challenge but improving access for women in science in those countries as well. It’s important to build those networks so women in science can support each other. “But when I began trying to do some Women in Maths Groups in Uruguay, the first problem I faced was that the young women thought there was no problem.” When they started their careers, the gender split could be 50/50, but that changes over time as people start moving up in their careers, and they find that it is no longer the case. It also means that there are no women in decision-making positions to fight for fellow female scientists. Projects like Girls in Tech have also attracted Prof. Hertz’ attention, as they encourage female students to participate in various academic Olympiads. She is convinced that the self-confidence of boys outweighs many girl’s self-confidence, so if girls are encouraged to try in the same way that boys will try anyway, without the fear of doing badly, this could get more women into science. As a pioneer and reformer of higher education in China, SUSTech could take on a bigger role in encouraging girls to try scientific subjects. Prof. Hertz believes that studying and meeting female scientists as students would certainly help. She also argues for teaching students what a scientist’s life can actually be like, instead of the stereotype. “We travel a lot, we have fun, we make friends from all over the world, we study what we like, and our schedule is very flexible. These are all things that the students don’t know.” Prof. Hertz acknowledged that there are cultural expectations from parents about what their children will do in the future, and becoming a scientist does not always fall within that traditional set of expectations.